VMfitness: Bingeing, Importance of REST! 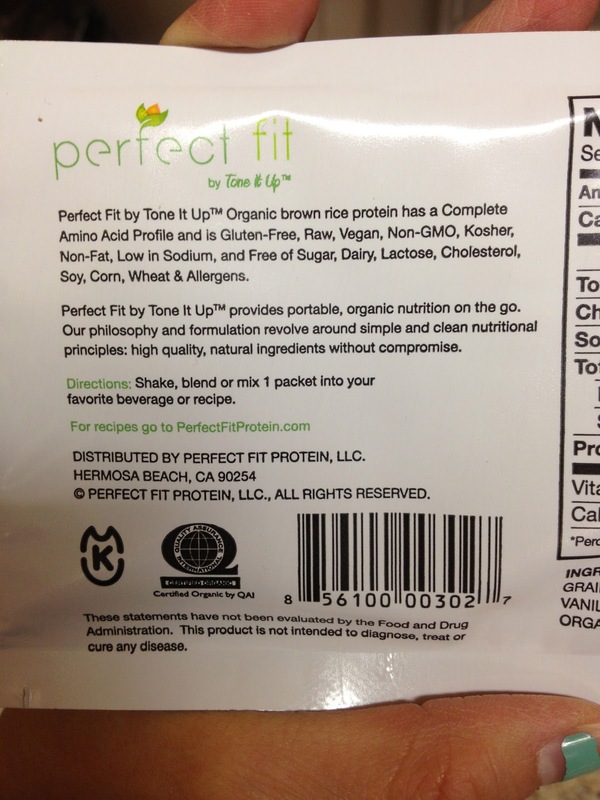 And Perfect Fit Protein Review! Bingeing, Importance of REST! 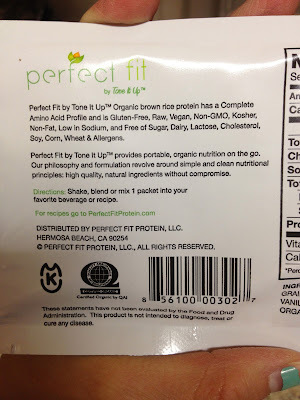 And Perfect Fit Protein Review! So as you know I took a week-long break from strict clean eating and working out. WHAT?!!? That's MADNESS! Yeah it was crazy, but at the same time, during it I felt SOOO relaxed. To be honest, before my break, I had lost a lot of motivation to eat clean and work out as hard as I'd been. I had been on full throttle since May, and for the past few weeks/months haven't had a fulllllll rest day to myself. Also, due to my thyroid issue getting worse, and certain side effects, I just felt so low. All my hair was falling out, I just felt so.. blehhh! I had also developed a really badddd eating habit.... bingeing... yeah no good no good. But I thought I'd share this with you because I know a lot of you go through that too. I used to binge on foods moderately before, let's say every cheat day. But recently it had gotten so much worse. I couldn't control myself. I was driving myself crazy, mentally, physically, it was seriously horrible. I thought to myself, WHY are you doing this?! But I just COULD NOT STOP! Even if my stomach was full. I hated, HATED that food had all of this control over me! I felt like my will power was so weak and my mind was in a slump, and with the no motivation, I had no will to stop eating the crap! I went to people for help, and they told me it could be from certain things I'm depriving myself from, in my current diet or in my general life. They told me I need to ENJOY food. That food should be interesting and different and full of flavor so that I don't feel like I'm depriving myself. I'm currently trying to take control of these overwhelming urges, hence the past week off, suggested by my parents and peers. I was overworking myself, and from too much stress, it caused me to constantly binge and binge. Thankfully I had not gotten to the point of purging, but it was still terrible and it made me FEEL terrible. Currently, I'm trying out different workout routines, trying to get into the swing like I was this summer when I didn't have that big of an urge to binge constantly, when food was exciting and fun and different everyday. For myself, I learned that the same meals everyday can lead me to want to binge, so now I'm trying to create a greater variety in my diet. Anddd by DIET, I mean the foods I am eating, not a 2 week scam to lose 20 pounds! Once again, diet should not be used as a quick short term thing, but the foods IN your diet should feed and fuel you for LIFE! I'm taking more rest days, relaxing more, SLEEPING more, man I've been slacking on sleep! And eating better, and SMARTER. I'm going GLUTEN FREE due to thyroid problems, so let's see how that change in my diet goes! This past relax week has caused me to gain some weight, hopefully from water, and I'm a little up on the body fat %, BUT nothing the next few months, or heck the rest of my LIFE, since it's a LIFESTYLE, can't fix right up! REST. Rest is so important. you don't want to burn your body out and overwork yourself. This doesn't do good for anyone! And you'll have more time to recuperate from your past workouts, so you can give it your ALL in the next ones! SLEEP! Please please please get your sleep - it's so important for your mind and whole body, inside and out. You'll feel refreshed, happier, and you'll LOOK better on the outside too! You don't want dark purple bags under your eyes do you? Also, lack of sleep = FAT GAIN! Did ya know that? Well now you do. Eat right - make food FUN, make it INTERESTING! There are so many great recipes out there I can't wait to try out! DON'T Deprive yourself! It's about MODERATION! NOT DEPRIVATION! Have your little treats here and there, but don't over do it, which is what I need to work on. Stick to just ONE treat! Not the whole chocolate factory! And if you DO mess up, DON'T WALLOW IN GUILT! You'll only drive yourself mad. Remember, you have the REST of your LIFE, to become a fit and healthier version of YOU! Don't forget your support! I learned so much about friends and family this past week it's ridiculous. They really can make the BIGGEST difference in your life if you let them into what's happening in your life! Perfect Fit Protein by Tone It Up™ provides clean, organic nutrition - and helps to burn fat, shape a lean physique and aid in muscle recovery. Each delicious serving contains 15 grams of protein and is Organic, Gluten-Free, Raw, Vegan, Non-GMO, Kosher, Non-Fat, Low in Sodium, and Free of Sugar, Dairy, Lactose, Cholesterol, Soy, Corn, Wheat and Allergens. Our formulation and philosophy revolve around simple and clean nutritional principles: high quality, natural ingredients without compromise. If you've been tuned into the fitness and health community for a while, you've probably heard of the Tone it Up girls, Karena and Katrina! If you haven't, CHECK THEM OUT! Such fit gals who are DEFINITELY motivational, inspirational, FITfluential, and more! They put out tons of workouts on their site, on their youtube, and also have a clean eating plan you can purchase online! They are the founders of Perfect Fit Protein and are super passionate and dedicated about bringing all of you healthy, high quality, natural protein made from natural ingredients! Wow, look at those ingredients, I know what they all are! Nothing crazy or artificial or nasty in there! Totally CLEAN eating protein and good for you too! Some reviews that I have read report this protein to be a little "chalky" or "powdery". I could see how some feel that way because it does have that sort of grainy texture, but you just need a good blender bottle to fix that up! It does seem to clump up a bit when mixed with water if you're just shaking it in a normal bottle. BUT, it would go GREAT in a shake that's blended or some protein pancakes! YUM. Some also didn't like the taste of it because it tasted "chalky & ricey", but honestly, I liked the taste of the powder! It actually reminded me of a flavor of a Vietnamese dessert I used to have as a kid! That could be because it's made from rice protein (and most Asian desserts are made from some sort of rice). I honestly like this protein a LOT. 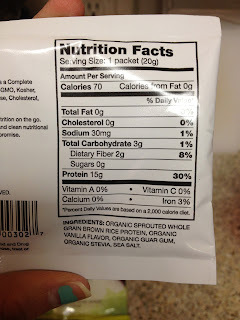 And the nutrition label is so awesome! And easy to transport for those on the go! Only 70 calories, 1 net carb, 15 grams protein! It's pretty low in calories compared to other protein powder companies! This has saved me a few times at school when I'm crunched on meals and need a quick snack to keep my metabolism revved! Or when I'm tempted by foods around me, this is GREAT to just pop in my water bottle, shake shakeee shake your bootayyy, and then drink it up! 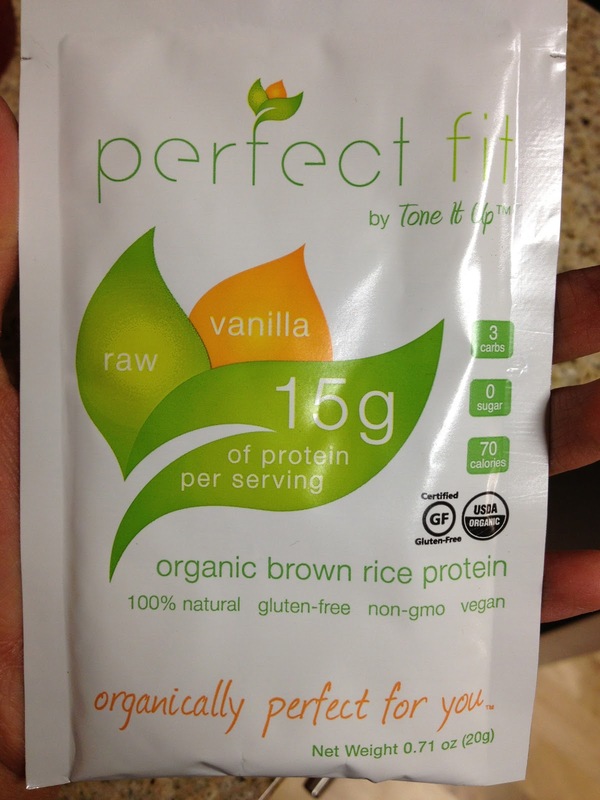 SO if you want a seriously CLEAN protein powder, only 5 ingredients, all natural, then get some PERFECT FIT PROTEIN. You can order them in single serving packets (so convenient for on the go or if you travel a lot) or in a 50 serving bag. I hope in the future they'll be able to come out with some new delicious flavors of this amazing protein powder! Thank you Karena, Katrina, and Perfect Fit Protein for letting me try out your wonderfully clean eating protein powder! Your honesty is brave and much appreciated, amazing post. I'm proud of you..is that weird? Being proud of a stranger? I don't think so ;) I enjoy your posts and love your instagram! I moved to New Zealand from California about a year ago and reading blogs with author's from America has been my piece of home while being here...so thank you for being part of it! Aw you are TOOO SWEET GIRLIE! Thanks so much for following and all the support! I love YOU! Aw i bet you miss it LOTS, but new zealand sounds so awesome! hehe the feeling is mutual!! NZ is awesome yes, I have my ups and downs with missing home but I think its what you do in those down moods that count the most. :) I just started a blog of my own, check it out if you want:: http://jessnessrequired.blogspot.co.nz/ Orig. started as a blog for me to write my comedy but has now morphed into all my interests. Nice i love blogs about everything! it's like a personal diary hah! There are lot's of tips in your blog. Your blog is really brilliant and very informative.